With their unique perspectives on transactions, merchants and issuers must collaborate to address false declines and chargebacks. Boston, August 18, 2016 – Merchants and issuers across the globe do not always see eye to eye in the complex world of payment acceptance. But these groups have not only a mutual dislike of archaic chargeback mechanisms, often laden with manual and inefficient processes, but also a shared frustration with false declines, a product of risk analytics that can sweep in the good with the bad. Given this common ground, can collaboration, data sharing, and communication help improve the experience for merchants, issuers, and even consumers? This research examines pain points, challenges, and potential solutions for chargebacks and false declines. 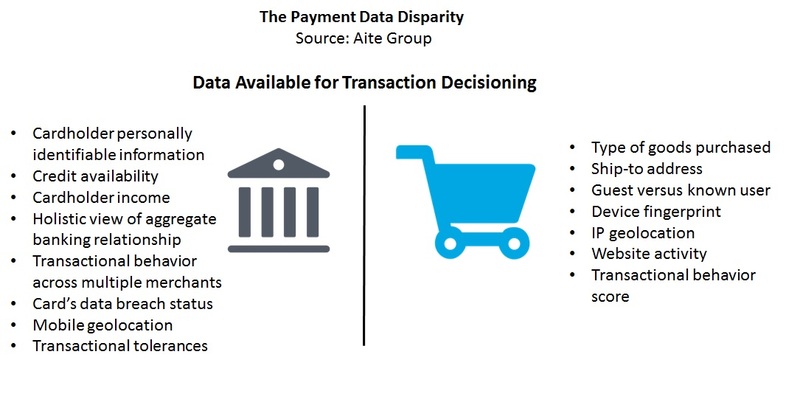 It is based on Aite Group interviews of 35 executives from merchants, large U.S. issuers, payment networks, processors, and solution providers between April and July 2016. This 27-page Impact Note contains six figures and six tables. Clients of Aite Group’s Retail Banking & Payments service can download this report. This report mentions ACI Worldwide, American Express, Discover, EMVCo, Envestnet Yodlee, Ethoca, Mastercard, Pindrop Security, Verifi, and Visa.